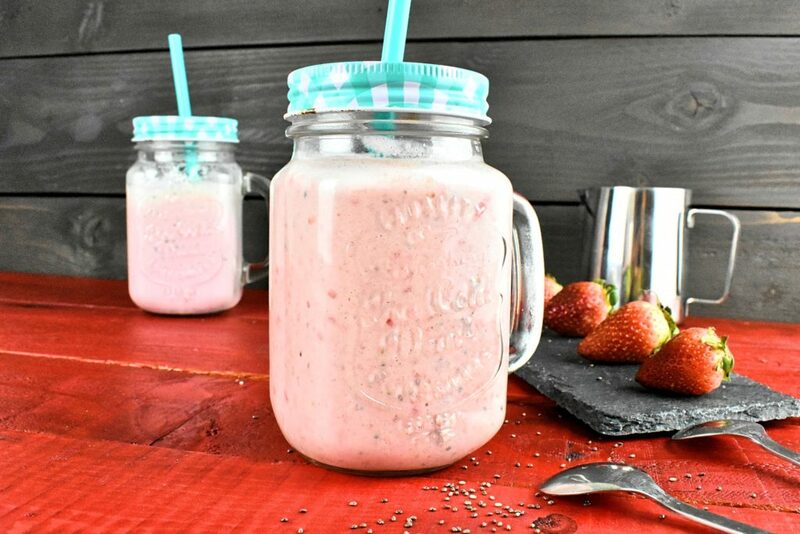 This super simple strawberry smoothie with banana and yogurt is an easy, still healthy option for breakfast or afternoon snack. One of the best things about spring that instead of frozen fruits there are fresh seasonal ones. So this is the time when we can have some sort of smoothie every day. 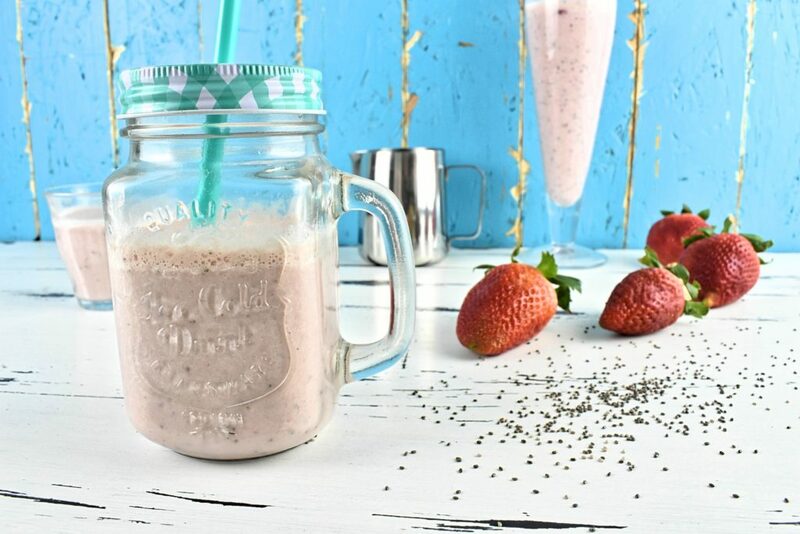 With the right blend of ingredients, a smoothie can be a nutritional powerhouse—full of vitamins, antioxidants, minerals. 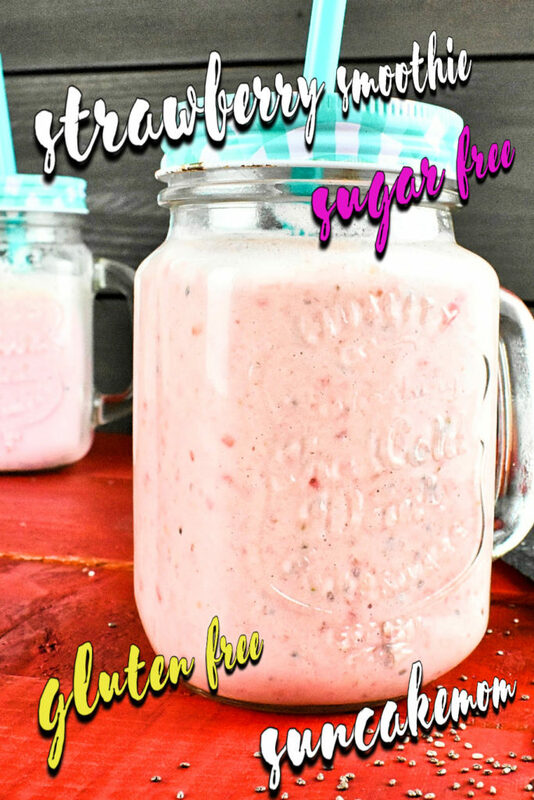 Place strawberries, sliced up banana, yogurt, milk and chia seed into the blender. Cover and blend on high speed for about half a minute until smooth. are excellent source of vitamin C which is responsible for growth, healing wounds, repairing and maintaining bones and teeth. Natural remedy of common cold. Strawberry is also ranking high being great antioxidant source. Banana is known as one of the super fruits because of its many health benefits. So basically we can’t go wrong with a banana. It is a great source of vitamin B6, contains moderate amounts of vitamin C, magnesium, fibers and a lot of antioxidants. It helps with weight loss, digestion and heart health. It also lowers the risk of cancer. Yogurt is a calcium powerhouse and contains high-quality protein. One of the healthiest for on Earth. It is incredibly good source of calcium, magnesium, dietary fiber and iron. It is loaded with antioxidants. Helps our brain and body. 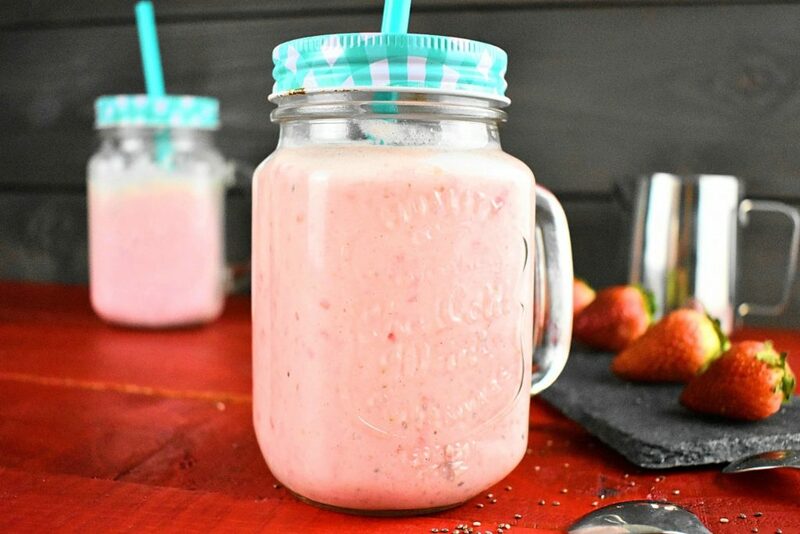 Having strawberry smoothie as a drink or snack for any time of the day good, healthy and quick alternative. Plus side: it is ready in 5 minutes. Banana is known as one of the super fruits because of its many health benefits. So basically we can't go wrong with a banana. It is a great source of vitamin B6, contains moderate amounts of vitamin C, magnesium, fibers and a lot of antioxidants. It helps with weight loss, digestion and heart health. It also lowers the risk of cancer. One of the healthiest for on Earth. It is incredibly good source of calcium, magnesium, diarery fiber and iron. It is loaded with antioxidants. Helps our brain and body. I like your blog very much! Really nice recipes!